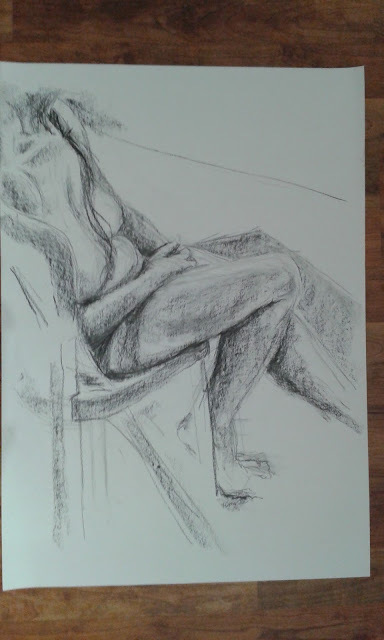 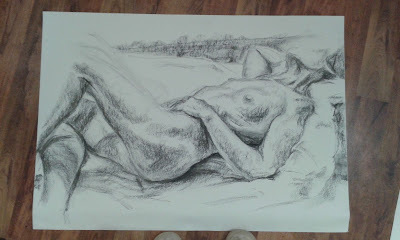 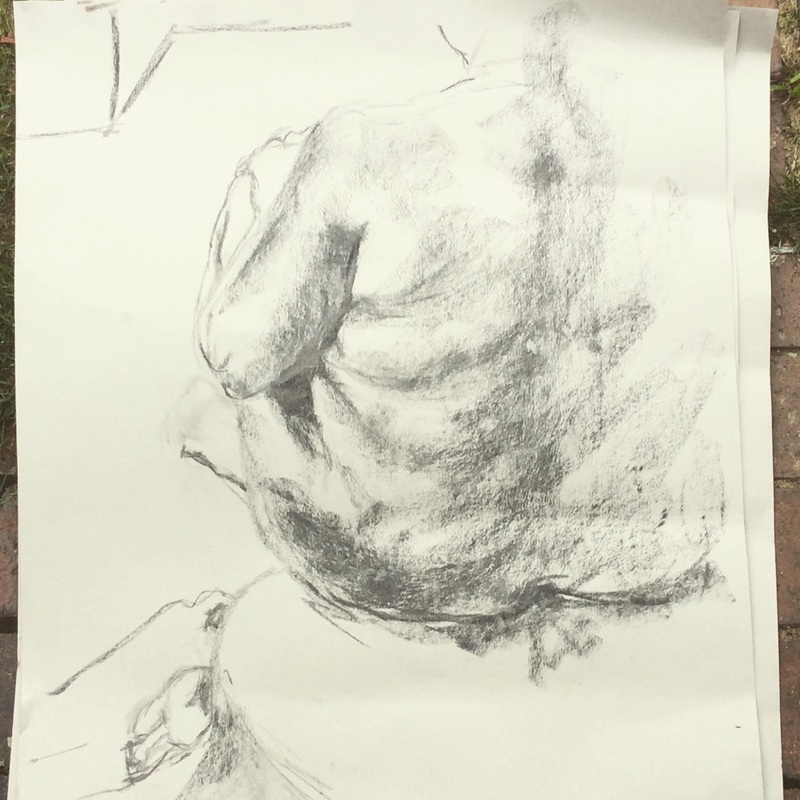 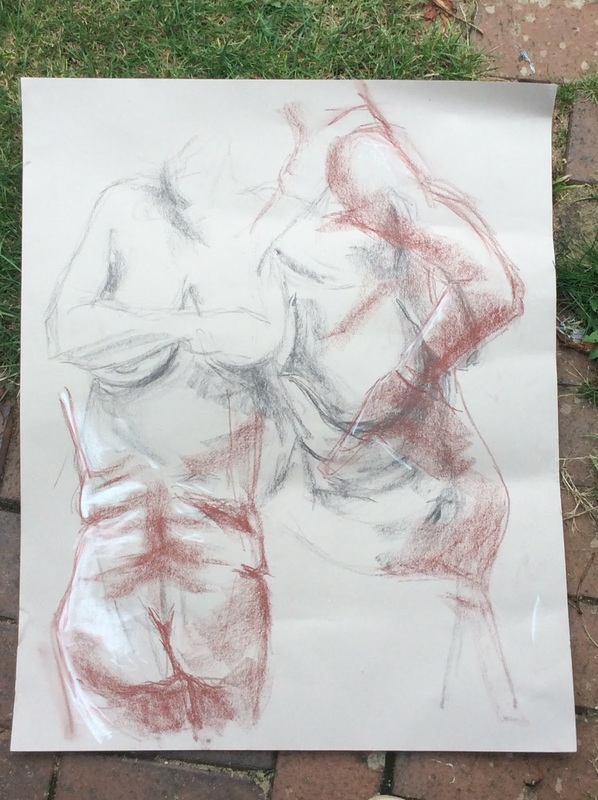 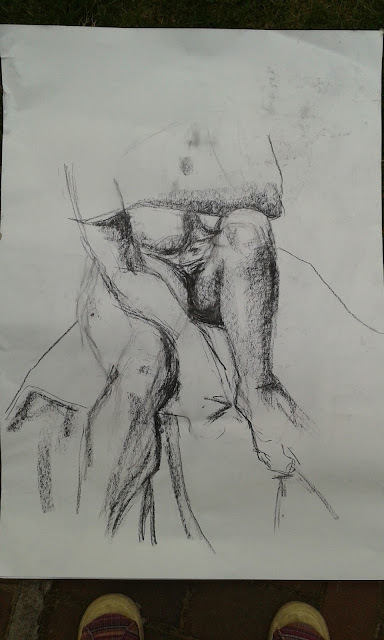 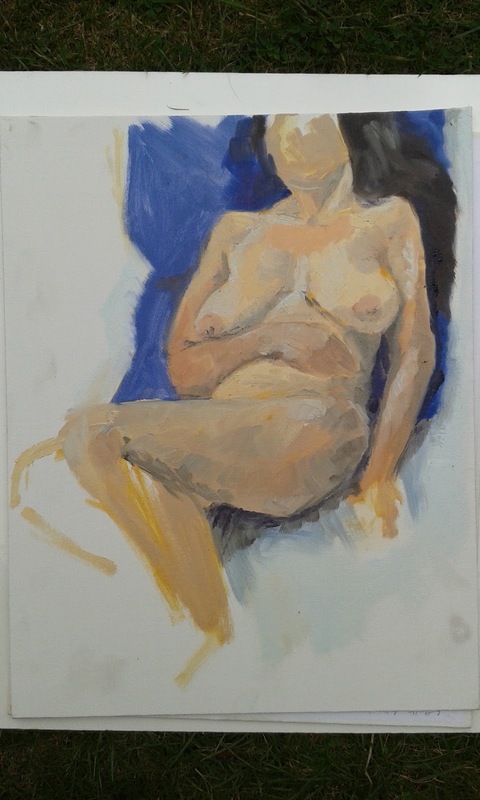 This week, I had the pleasure of spending the whole of Monday and Tuesday at the art gallery life drawing and painting. 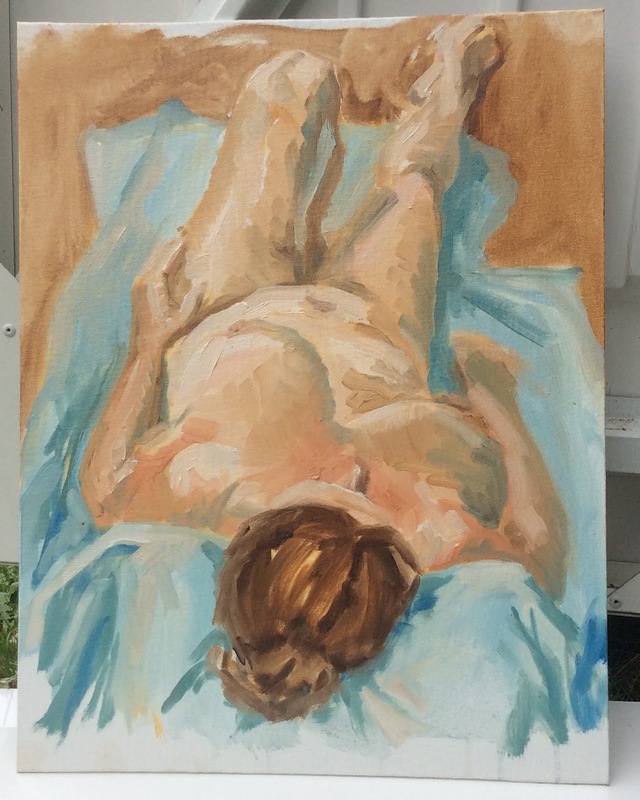 Two figure studies in oils in two day - what luxury! Drawings on day two were ropey so shan't post those but the afternoon painting wasn't too bad. 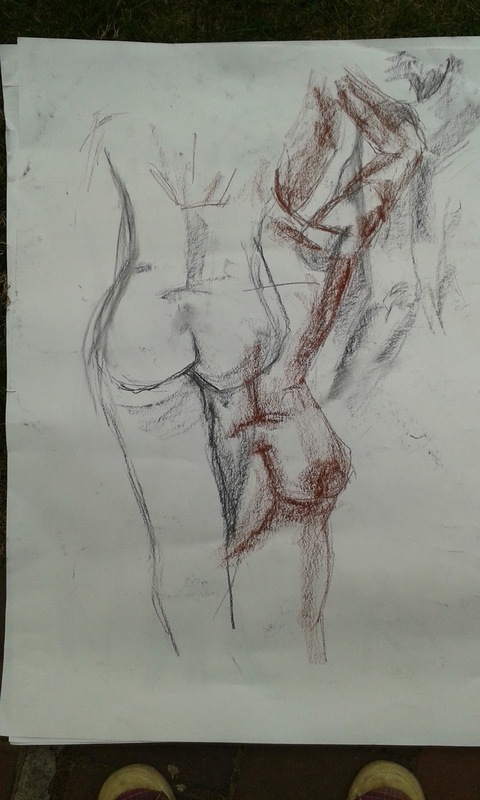 I'm improving I think. Just got to keep practising. 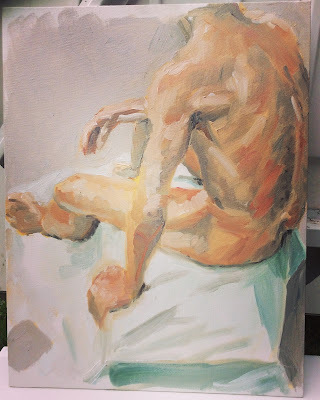 Painting practice. 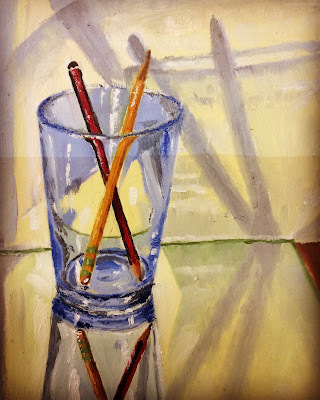 Another quick still life in oils.